Why are you not allowed to use your phone on the plane? Living in the 21st century, when we are already using all screen smartphones, and all other technovations, the cabin crew in the airplanes asking us to turn off the mobile devices might leave us in a state to wonder, whether the tiny pocket-sized devices are capable enough to cause disturbances, which can affect the trip 35,000 feet above the ground. Well, that isn’t the case every time. If you are among those folks, who know about the constant communication between the air traffic control and the airplane, you might argue, the wireless signals from the cellular towers might overlap with the signals sent between ATC and the airplane, which can eventually cause interference and signal distortion. So are those the real causes! Today, I will explore this and talk about the real causes, why you are advised not to use your small pocket monster while flying. 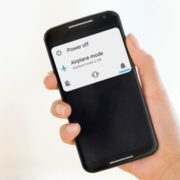 Well, interference and signal distortion by mobile phones might be something, which can be a cause behind the advice to turn off the mobiles at the time of flying. So let’s disclose the truth. The signals sent between our small lovable mobiles and the nearest cellular towers use a frequency, which is completely different from the frequency bands used between Air Traffic Control and airplanes for flying. Signals of two different frequencies can hardly overlap with each other causing interference, and that is common physics. Talking about distortion, the electronics used in airplanes and the airports for communication are smart enough, at least in 2018 to keep away some unimportant signals out of its radar. So, while you are flying, and you forgot to put your mobile to airplane mode or switch it off, don’t let your blood pressure rise thinking yourself to be a cause of a possible plane crash, which hardly occurs nowadays. Going down the memory lane, moving back a few years ago, cases of electronic interference were there. There was an incident of the presence of a portable DVD player, which made the ATC comprehend, the airplane was moving in the direction opposite it was supposed to, way back in 1999. Maybe the use of the portable player offended the positioning system of the airplane. But you can’t find such incidents today, kudos to modern avionics. So what exactly are the reasons? Talking about India, according to the government guidelines, you are not supposed to keep your mobiles turned on, or use it for communication while flying. Even if the reasons behind it doesn’t make sense to you, why break the guidelines! But there are reasons, which makes some sense if not more. 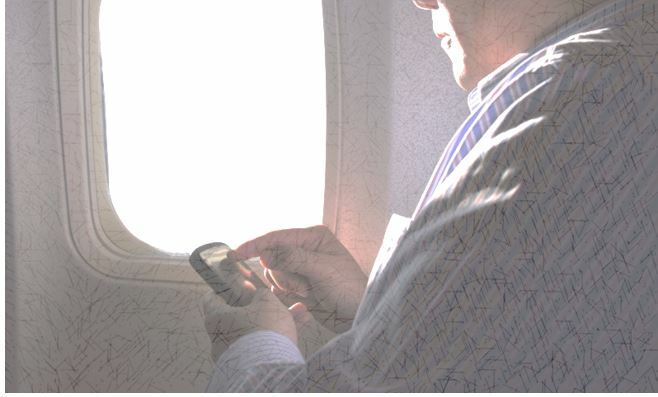 Security is one of the big reasons, why it is asked to turn off the mobiles while flying. We all have the habit of posting our location on Facebook and Instagram, and if not that, most apps keep a track of the live location, which can also be a security issue. But with turning off the mobiles and other communicable gadgets, the chances of the apps collecting location data is barred, making the security tighter. The Federal Communications Commission or the FCC of the USA banned the use of mobile phones and other consumer electronics in airplanes in around 1991, as the avionics used in those days had the tendency to interfere with the mobile phones used in those days. But I am talking about 1991 when things were a lot different from today. But in 2013, the same council, i.e. FCC relaxed the rules and allowed the use of mobile phones and consumer electronics at even 10,000 feet, which an airplane attains at the time of takeoff and landing. Takeoff and landing being the two most vulnerable stages of an aircraft, a lot of tasks needs to be done with precision to avoid any further issues. But, the rule was relaxed only for electronics, which do not transmit signals. It means you can play your favorite single player game on your portable console or enjoy a video you made offline on YouTube. But forget making a voice call, or stream some audio from your favorite audio streaming service to avoid saying sorry, each time the flight attendant offers you an overpriced cup of coffee. In 2017 though, the FCC rejected the proposal to allow phone calls within an airplane, as he wanted a few hours of quiet at 30,000 feet. That, in no way, associated with safety or security of the aircraft or the passengers flying within it. But if you are an esteemed visitor of this website all the way from Europe, you are lucky. The passengers in Europe are allowed to use their mobile internet within airplanes. But they cannot make a voice call, which can irritate other passengers while flying. Yes, nobody is interested to hear the quarrels with your boss at 30,000 feet. Not only that, the flight attendants and the captain might send messages to the passengers about any possible turbulence, bad weather or some other emergencies. If you are among those guys, who has the habit of talking loudly, co-passengers might face problems hearing those messages, which isn’t something anybody will want. The day is not far away when you can enjoy watching your favorite Netflix episode while flying as the Indian Telecom Communication allowed the introduction of in-flight Wi-Fi in 2018. So, have fun! What else can I say! Is it worth using the mobile internet while flying? Even if you think yourself to be that adventurous guy to try mobile internet while flying, let me tell you, the experience is not going to be too good. Very bad actually. Your mobile will have to transmit the signals at it full power, which will obviously take a toll on your battery. Not only that, due to very frequent hand-offs (the process which helps a mobile device switch to the nearest cellular tower for communication), the speed or signal quality will be too bad, and you will have to forget streaming your favorite movie, maybe because of time-out. Do not expect anything better if you want to make a voice call to your girlfriend, to make those hours of flying romantic. There will be continuous call drops, to say the least. Thus, better stick to the rules to avoid any possible problems while flying. If you are that guy like me, who can’t keep their mobiles off for 1 or 2 hours, why not use the famous flight mode. Just play some games, or enjoy. Wait for a few more days will eventually unlock in-flight Wi-Fi at least in India. Now don’t ask me about the pricing. It will all depend upon the airlines, which you have chosen for flying. Hope the small information on whether to use mobile phones in flights, was informative to you. Do you have any suggestions on the topic? Feel free to comment it down below.